Aberdeen Asset Management Cowes Week – Superyachts News, Luxury Yachts, Charter & Yachts for Sale. Racing for boats rated under the Island Sailing Club Rating System (ISCRS) has been reinstated for the entire week following interest from a number of cruisers. This has resulted in many boats opting to either race within this Class rather than in the IRC (non-spinnaker) Class or under IRC and therefore the IRC (non-spinnaker) Class has been removed. Racing is being provided for some of the largest and most glamorous boats in the world as they arrive in Cowes for the start of the Rolex Fastnet Race. Boats between 18.2m and 30.5m LOA with a TCC of greater than 1.4 will race within a mini-series – the Big Boat Series – over three days of the regatta (Tuesday 9, Wednesday 10 and Thursday 11). A mobile-friendly version of the event website has been created to give smartphone users instant access to results, news, start times, courses and entertainment schedules during the regatta. 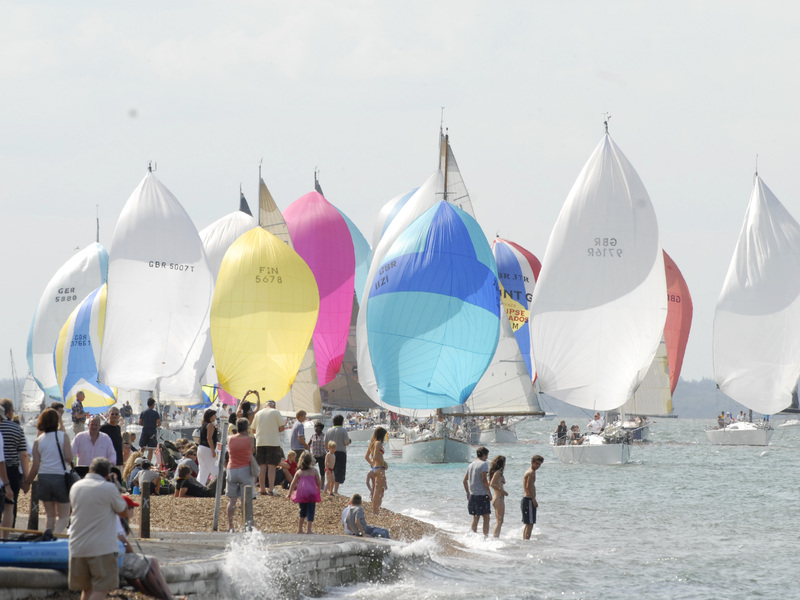 Smartphone users will simply need to go to Aberdeen Asset Management Cowes Week’s website and will be automatically taken to the mobile version of the site. A tracking system is being trialed with the IRC Class 0, Dragon and Multihull classes this year, thanks to funding from Aberdeen Asset Management. The ‘ngTrack’ system, developed by the event’s technology partner, NGR, uses competitors’ own smartphones instead of expensive dedicated tracking devices to monitor the locations of boats taking part. Position data will be transmitted in real-time to regatta HQ and, as this is a trial, will be available to a limited number of people to view online through a simple, easy-to-use viewer. 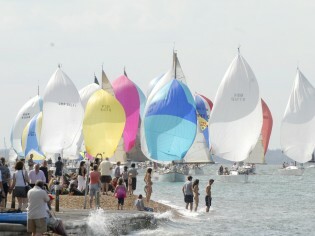 It is the intention that, following the success of the trial, the facility will be extended to the wider Cowes Week fleet and spectator audience in 2012. Ramora UK, the world-renowned provider of Explosive Ordnance Disposal training and support services, is providing a free distress flare disposal service to sailors taking part in the regatta at Shepards Wharf Marina on Friday 5 August between 15:00 and 18:00. This will enable safe, legal clearance of out-of-date flares. A Skippers Briefing will take place in the mezzanine bar of the Cowes Yacht Haven Event Centre on Friday 5 August at 18:30 for the White Group and 19:30 for the Black Group. This is designed to provide some helpful hints for those racing, and highlight some of the nuances of racing at Aberdeen Asset Management Cowes Week to help competitors avoid common mistakes. The top three boats in each class will have a choice of a daily prize: an engraved glass or a voucher courtesy of our Official Technical Clothing Partner, Gill (£15 for a win, £10 for second, and £5 for third place). Each daily class winner will additionally receive a race winner’s flag. All daily prizes should be collected from the Regatta Office.